Get Drunk, Wreck Your Motorcycle, and . . . File a Law Suit? A few years ago, in Tom’s River, New Jersey, a 47-year old biker named Frederick Voss, got hammered at a local tavern, then jumped onto his motorcycle and took off. According to various sources, the police report states that Voss ran a red light and collided with a car. He was charged with, and convicted of, driving under the influence. No surprise there, considering his blood-alcohol level was .196, almost two-and-a-half times the legal limit of .08. The surprise is that Mr. Voss then sued the tavern for causing him injury by negligently serving him drinks. Absurd, right? It got kicked out of court, right? Not so fast. Last week, the New Jersey Supreme Court ruled that Voss has standing to sue the bar that served him the drinks. Apparently, under the state’s “Dram Shop Act,” it makes no difference whether you are the victim of a drunk driver, or the drunk driver himself: you have the right to sue the bar who served the drunk driver his drinks. (Even if that driver was you.) Ugh. In case you forget this one from your civics class, a Dram Shop law is a law that allows a person who is injured by a drunk driver to sue the establishment or person that provided him the liquor. In some states, this even means that if you go to someone’s house and have drinks, get drunk, leave and get injured, you can sue the host of the party. Time for some legislative reform in New Jersey, I would think. For our California readers, you can take solace in knowing that our laws (at least with regard to this issue) are not as absurd. Here, a person or establishment that provides alcohol to someone who goes out an injures someone else cannot be held liable, unless the person they were serving was a minor. In fact, California law provides that a person who is in a car or motorcycle accident while driving under the influence of alcohol is greatly limited in receiving compensation for their injuries, even if the other driver was completely at fault. 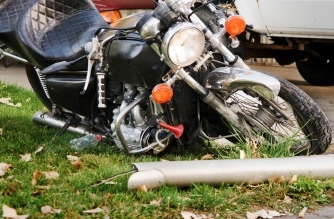 As a California motorcycle accident lawyer, this is something we see far too often. More on that law in my next post. For you law geeks out there, go to our California Dram Shop Laws page to see the California statutes on the subject.